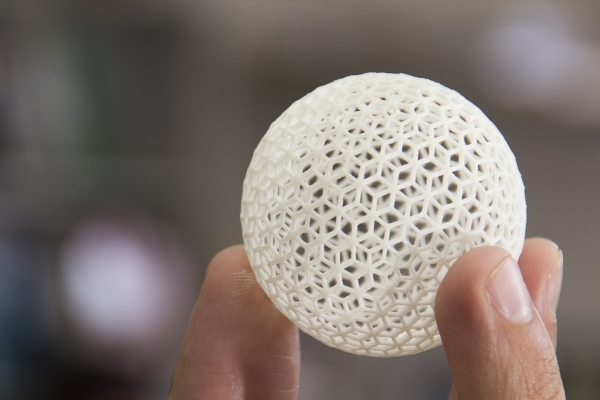 A second line of defence after cybersecurity is needed for 3D printing to ensure counterfeit copies can't be made, says a new report. The article, published in Materials & Design, says cybersecurity is important but there is also a need to have anti-counterfeiting features within the computer-aided design (CAD) model on the off-chance cybersecurity is breached and the CAD software stolen. "With the introduction of these features, only a unique combination of processing and printing parameters will provide a high-quality component and any other conditions will result in a defective or inferior quality component," say the authors Fei Chen, Gary Mac and Nikhil Gupta, from the mechanical and aerospace engineering department at New York University. Advances in both the printers and the printing materials have been made in recent years with interest continuing to grow in the application of the technology, which can be seen as both time and cost effective. "Protecting CAD models designed for additive manufacturing (AM) is extremely important for companies to ensure protection of intellectual property and public safety," the authors say. "It is certain that the AM field will only grow further, despite all the potential risks; therefore, improvement in security strategies is one of the main priorities for this field." The authors say cybersecurity breaches "poses some special considerations" for 3D printing where stolen CAD files can be used to produce a component that is as good as the original component using the same type of printer and material the company uses for manufacturing the genuine item. "Not having another layer of security exposes the companies to significant risk if the network security is breached," they say. CAD files can be encrypted but the authors suggest layers of security features embedded in the product design itself so that stolen files print defective items. The authors note that this is a challenging task but that it can be achieved through a "unique combination of material-specific parameters" including "a specific combination of STL file resolution, slicing direction, orientation of part on the print bed and resolution of the 3D printer". Combinations of parameters or conditions that do not fit the genuine production conditions would result in the production of a defect, the authors suggest. The paper suggests a number of features such as curvature and internal surfaces that could be tweaked for security purposes. The authors also note that other anti-counterfeiting features could be added such as novel material compositions that cannot be easily replicated or quantum dots, which are nanoparticles embedded in the 3D-printed object that can emit different wavelengths of light and provide a unique manufacturing signature.